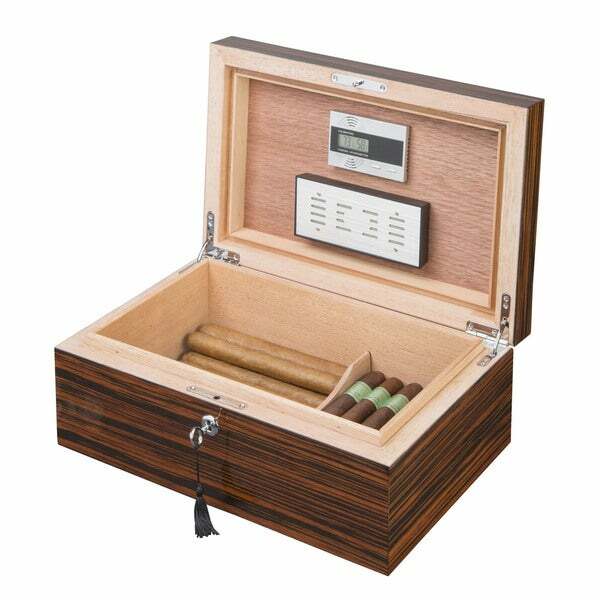 Featuring a beautiful glossy finish on Ebony this stunningly beautiful cigar humidor is a premium quaity humidor that has three layers of lacquer. It will look the same for years to come. It features beautiful lacquered exotic Ebony wood.